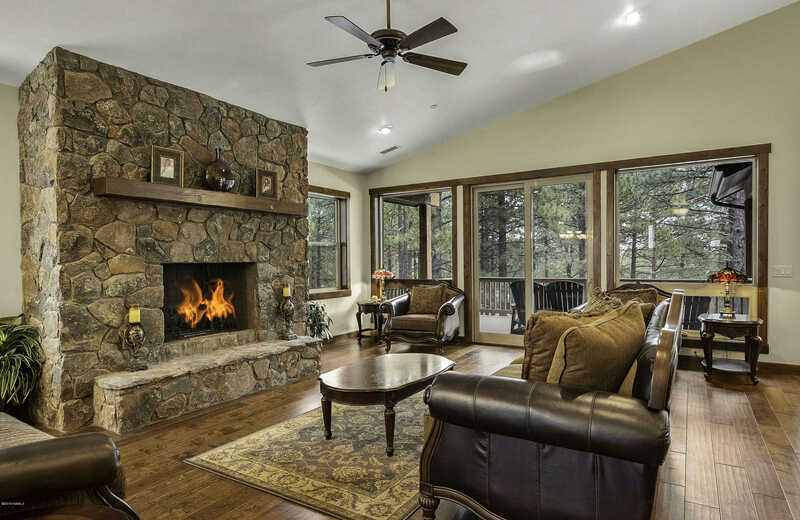 Exciting opportunity to own this beautiful home on the course and surrounded by mature Ponderosa Pines. The large lot gives the feeling of extreme privacy. The expansive decks spilling over from the open kitchen and living area lend themselves to family and entertaining. Although there are stairs to the walk out basement, the master bedroom is on the main level, The walkout basement is perfect for extended family or guests with it’s own covered patio. This meticulously maintained home with exquisite updates is a rare find. Storage galore is built in to this magnificent home. Call now for a private viewing. Please, send me more information on this property: MLS# 176169 – $898,000 – 4140 Lariat Loop, Flagstaff, AZ 86005.